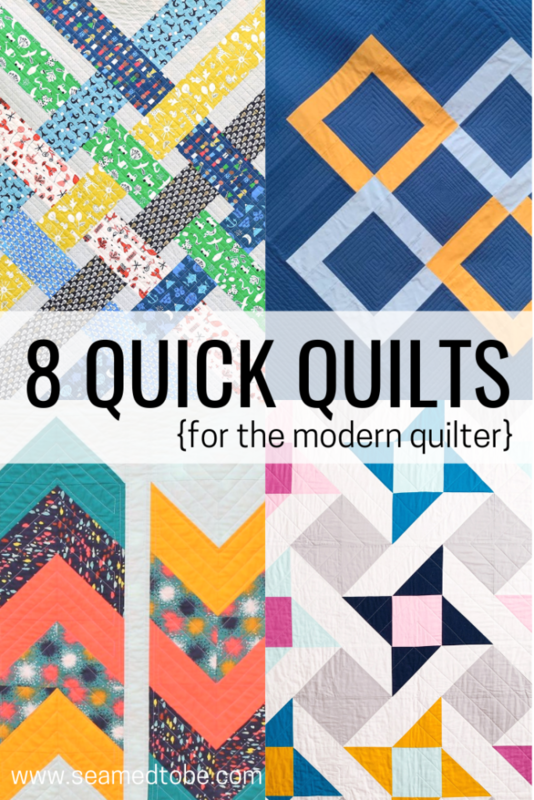 Free motion quilting on a domestic machine isn’t for the faint of heart. In my experience it requires a lot of practice and stepping out of your comfort zone! 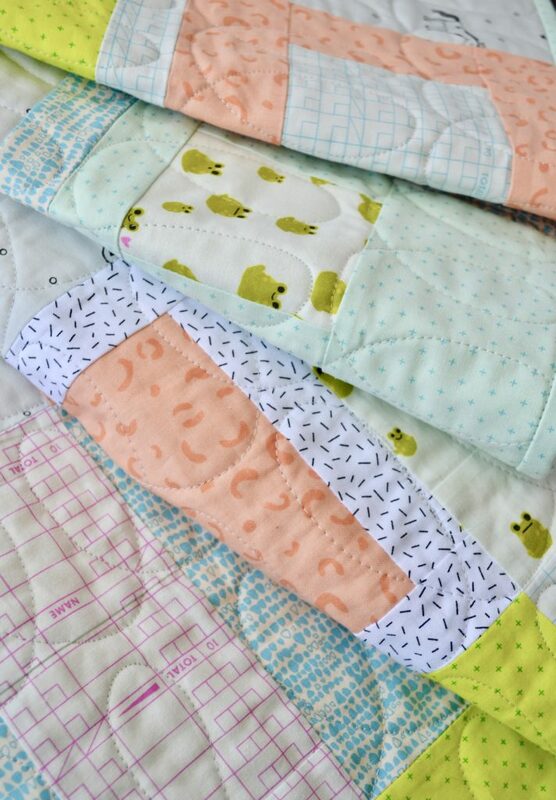 Because of all the time you have likely spent preparing to FMQ an entire quilt, it is extra discouraging to have things like skipped stitches and broken threads plaguing your hard work. Also, ripping quilting out is slow and painstaking, so I prefer to avoid it as much as possible! 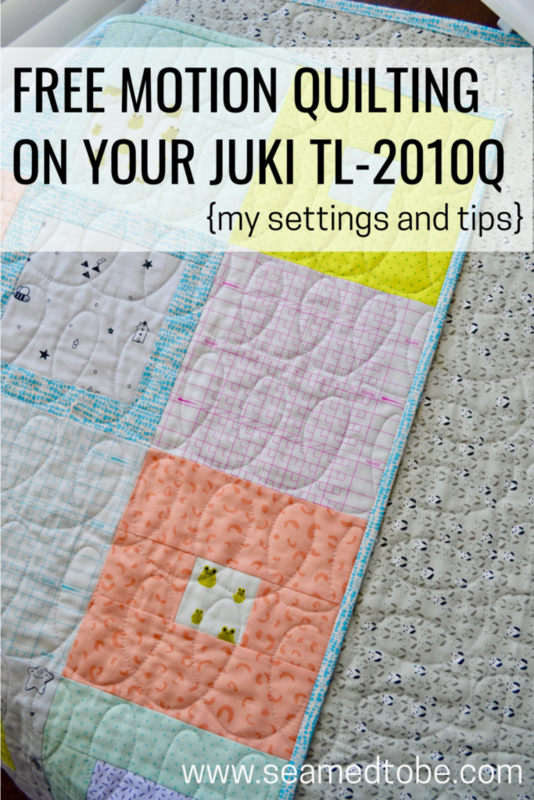 The JUKI TL-2010Q has become a very popular machine in the quilting community, so I thought I would share the machine settings settings that work best for me when FMQing! Of course there is no silver bullet for this with all the variables involved, but perhaps my numbers can give you a few ideas to hone in more quickly on your FMQ sweet spot. I did a lot of googling for adjustment ideas and after a bit of a trial and error, finally got things running smoothly! I happily finished the hump quilting on my pickle Tuesday Plaid quilt and took a snapshot of all my settings so that the next time I prepared to free motion quilt, I would be able to spend less time troubleshooting settings and more time quilting. A frustration free FMQ session is so satisfying! Using those prior settings, I was able to dive into quilting loops onto my baby size Tango Quilt after just a few small adjustments. Victory!! 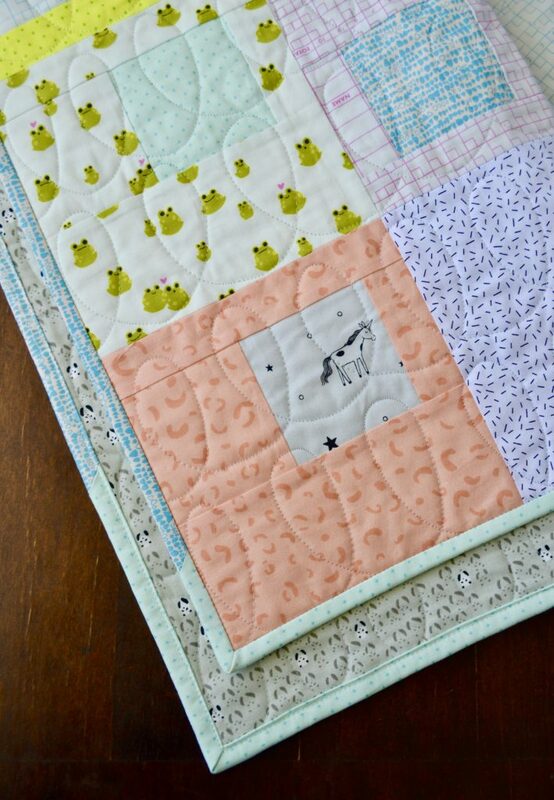 This adorable pattern is available from Cluck Cluck Sew! When compared to my normal piecing settings, for free motion quilting my JUKI likes lower top tension and more pressure on the presser foot. Both of these adjustments keep my machine catching the bobbin thread effectively, thus avoiding skipped stitches! Presser foot pressure: One notch below the medium dot. See photo! Thread tension*: 1.0 (front tension dial for the top thread, read with the presser foot down) I know. 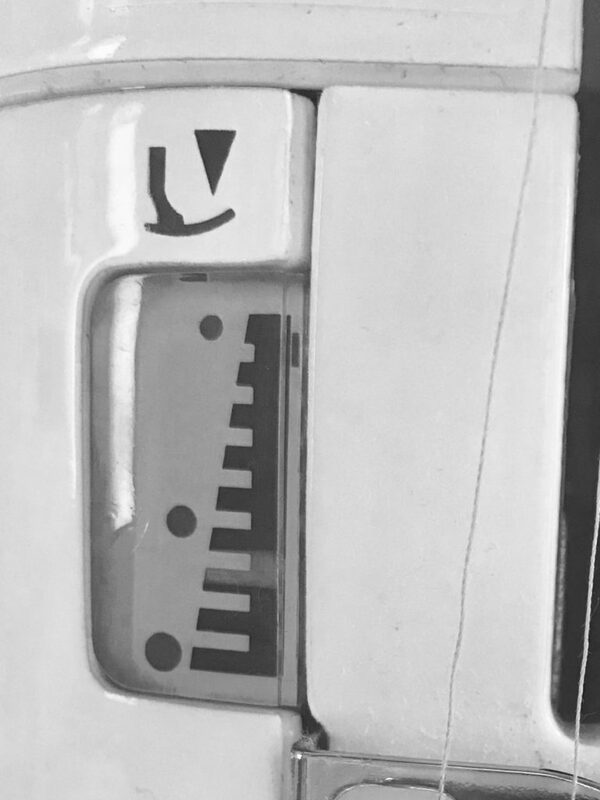 . . it seems low. My machine wants what it wants! Speed: I like it a little on the rabbit side of the middle. 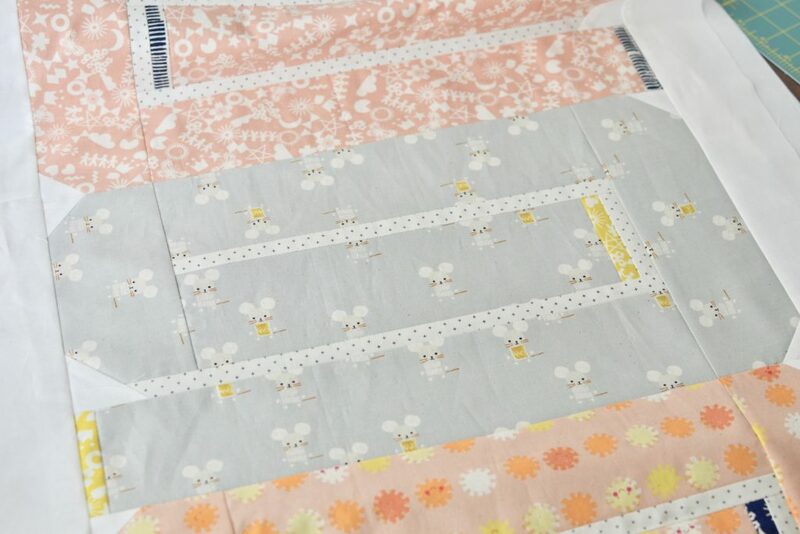 For piecing I am full speed rabbit, but for FMQ I like to be a little more conservative to prevent accidental rapid/tiny stitches that are impossible to pick out. Whatever speed you pick, consistency is key to match the speed you are moving the quilt with the speed you are stitching. *If this thread tension setting gives you too “flat” of a bobbin thread on the back of your quilt, the tension should be increased incrementally until you find a perfect balance. I do not presume to say these are the “best” supplies for free motion quilting on the JUKI TL-2010Q, but they are what I use with the settings listed! Aurifil 50wt cotton thread– This thread was recommended to me years ago in my Intro to Quilting class, and I took their word for it! It is the only brand I buy. Organ Needles 90/14– Lots of these came bundled with my JUKI machine! They work well for me and are so much more affordable than buying needles at a craft store. These are steps you may be tempted to skip, especially if you have done them recently. I’m here to say, DO THEM ANYWAY! Set yourself up for success with a clean, oiled, sharp sewing machine so you know whatever blips you encounter are due to technique or settings, not the condition of your gear. CLEAN IT– Yep, take the plate off and really clean it! Clean the bobbin case too. OIL IT– This machine requires more frequent oiling than other machines I have had. I like to operate all the bells and whistles and do a little test sewing after oiling to get it moving through the machine. Here is what I use! WARM UP– I keep a little quilt sandwich tucked under my extension table so it is easy to grab and do a few test stitches on. 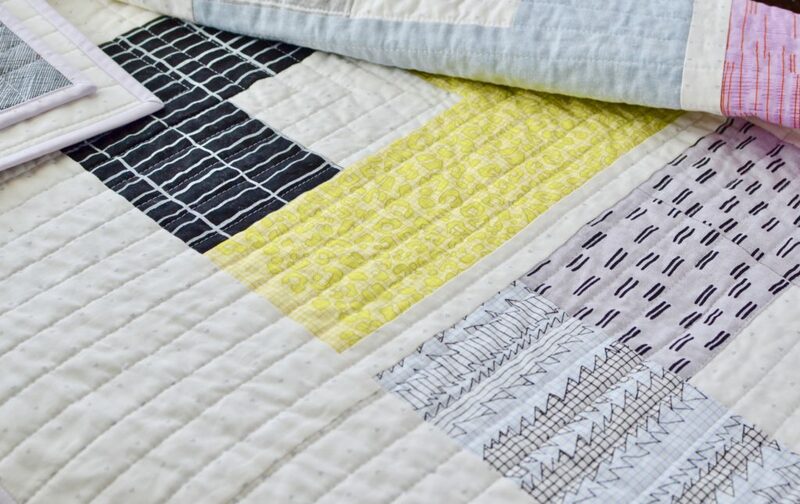 A word of warning though –> a small quilted square is much easier to manipulate than a big quilt, so do not get discouraged if you have a harder time on the real thing. That is normal! 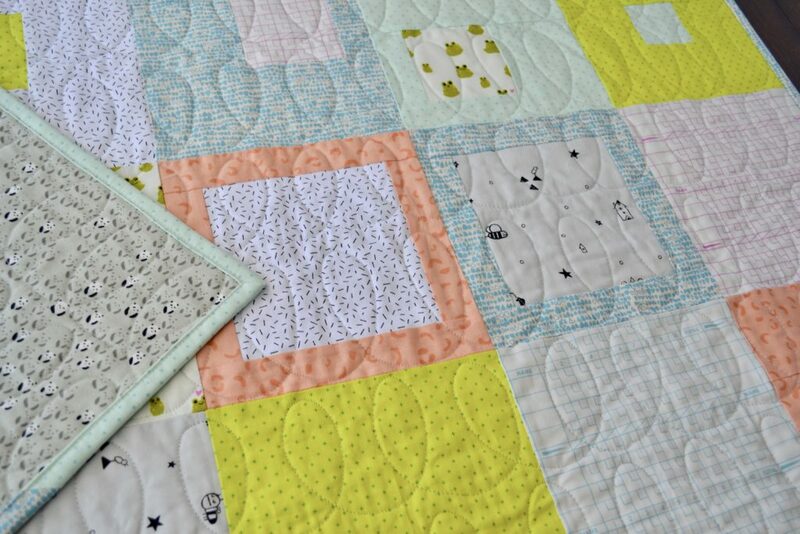 I chose the size of the loops on this baby quilt by the size of the blocks. I didn’t want to mark for the quilting, so I used the guidelines of the bottom edge of each block to make my first row of loops, done left to right. I extended the loops about halfway up the block, just by eyeballing it. After quilting each initial row of loops across the bottom half of every block row, I went back and did a second row of loops in the top half. I extended these loops up close to the top edge of the block. As you can see, I like a little variety in the size and shape of my loops. Allowing for a little variation keeps me sane and adds to the visual interest, in my opinion! 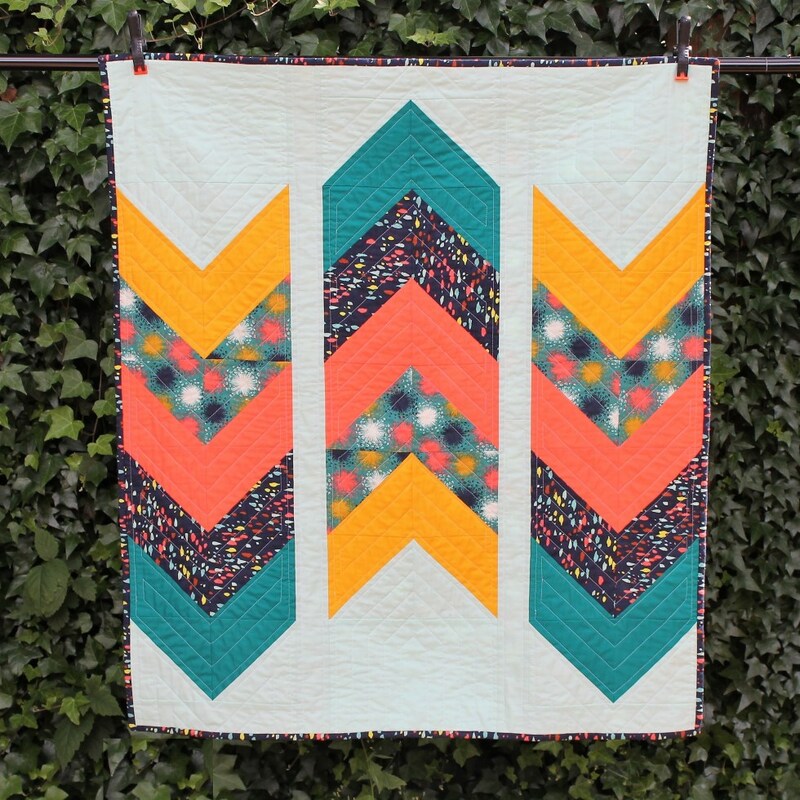 This is a good beginner FMQ design since you start quilting on the batting, and end on the batting. There is no need for thread burying or knotting! 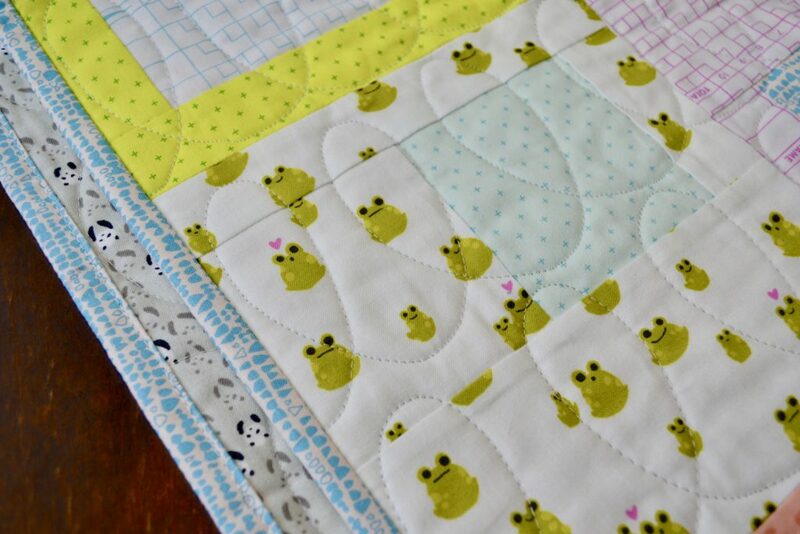 The predictable direction of the design also makes it beginner friendly, unlike a meander that requires you to make quick decisions about where to go next while you are stitching. I recommend reading other, more comprehensive guides to free motion quilting and watching YouTube videos if you are new to free motion quilting, but here are some basic tips I’ve found useful! 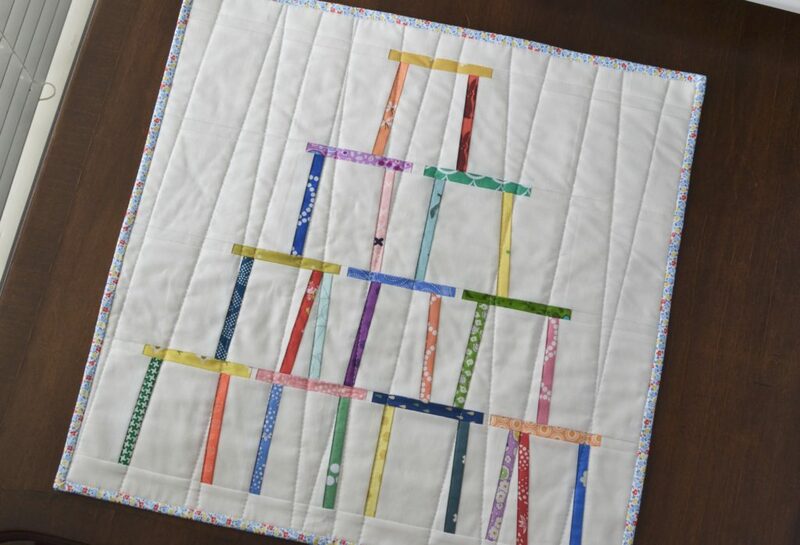 Support the weight of the quilt as best you can with a large table or chairs to catch it when it falls off the edge. Sudden tugs and pulls are a recipe for disaster! Wear quilting gloves! It may feel silly, but they really do make a difference in how you are able to grip the quilt and move it effectively. 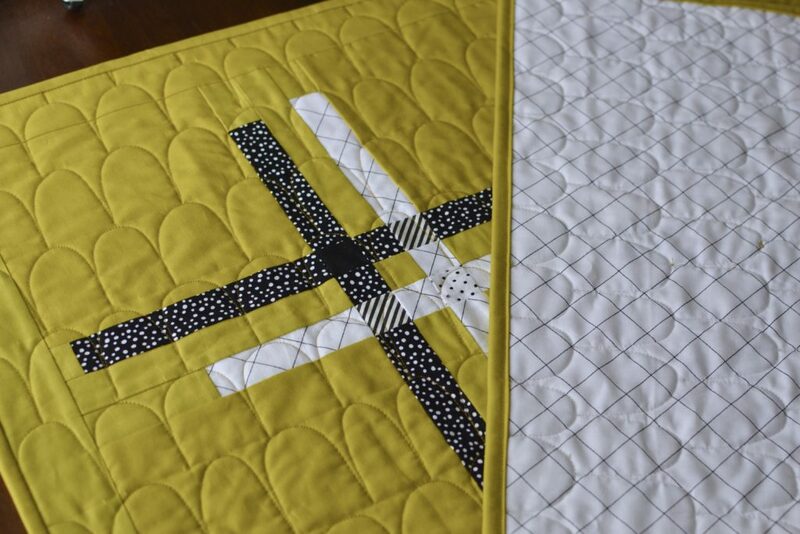 Frame the area you are quilting with both hands, making it flat and gently taut. 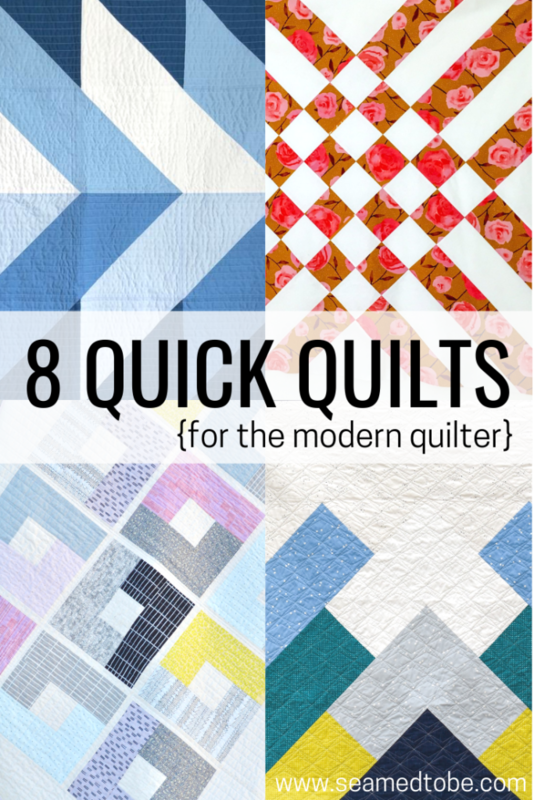 This can be challenging with a large quilt bunched up in the throat of the machine, or in your lap but it will give you the best results and control! I much prefer bunching to rolling for managing the quilt while FMQing. 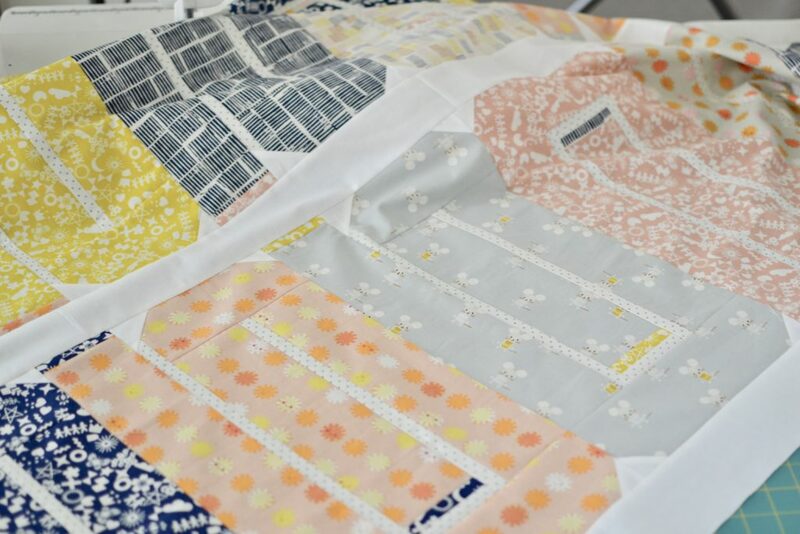 Bunching accordion style into the machine throat allows the quilt to move and expand with ease as you quilt in that direction (left to right). If you are struggling with tension this is a handy link! 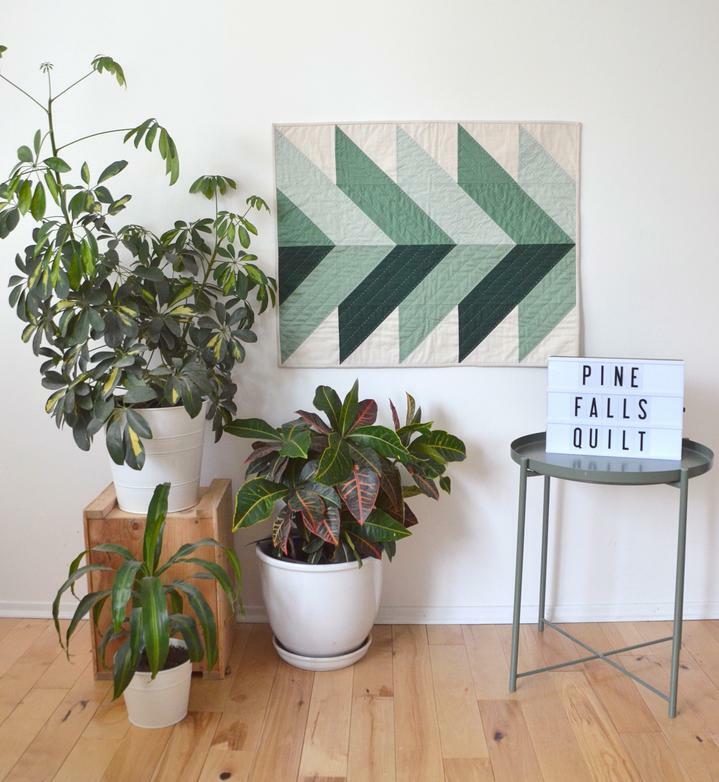 Let’s talk about my newest pattern, Hello House! It’s baby size only for now, but I can guarantee it would be fab in throw size. Can you say housewarming gift?? 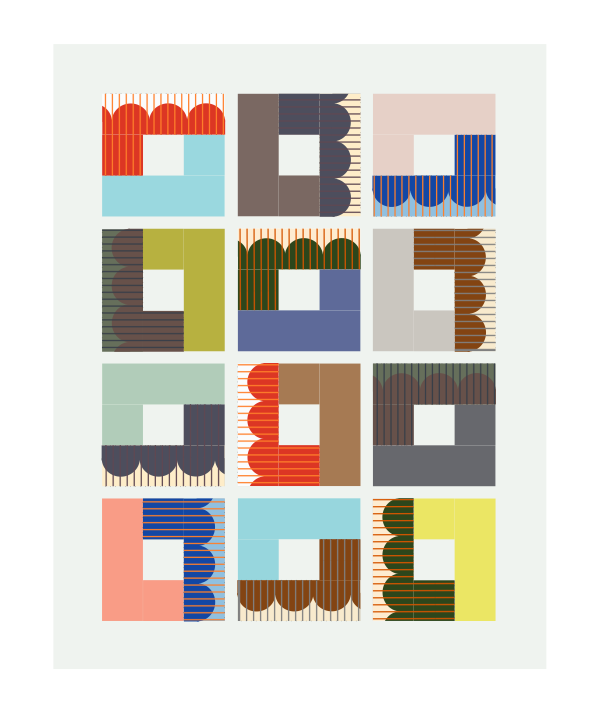 When I designed this pattern I wanted something modern and simple. 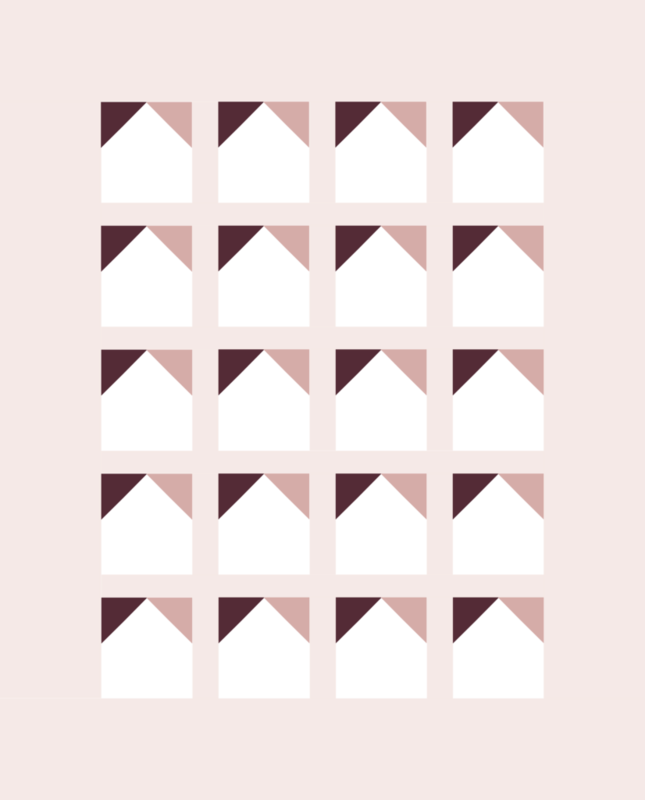 I started with the color palette below, inspired by the Design Seeds image, and called it Good Night House. One side along the rooftops being dark and the opposite being light reminded me of the same thing happening in the sky at sunset, when you say good night. If you haven’t checked out Design Seeds yet, it’s a terrific source for color inspiration! 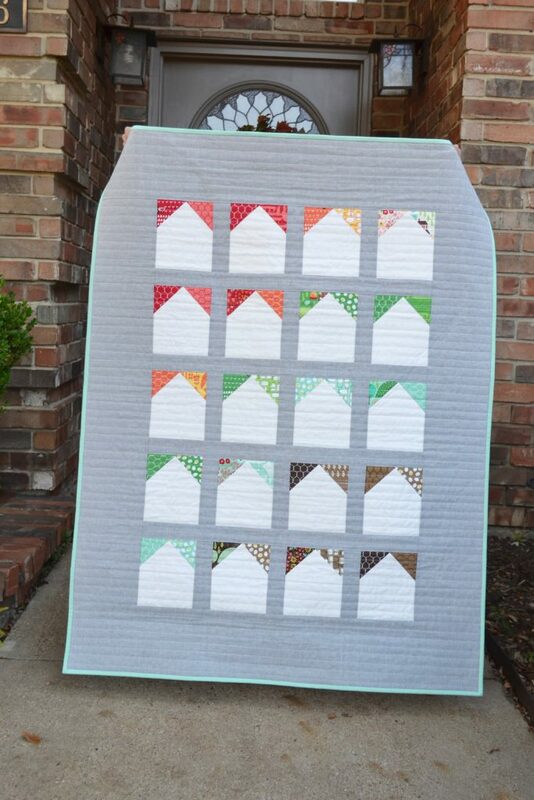 When it came time that I needed a baby quilt for a friend’s shower, I knew I wanted to try out these houses I had been playing with. Wanting/needing to work within my stash, I remembered the adorable little Farm Fun by Stacy Iest Hsu charm pack I had been holding onto for so long. My friend is “team green” so the sweet little farm prints seemed perfect not knowing if baby is a boy or girl. I am so happy with how it turned out! I did still arrange the accent pieces above the houses loosely following darker on the left side and lighter on the right. Although the effect is very subtle, I do think it gives some order to the finished project that your eye appreciates. I tried scrambling the rainbow of houses, but found the fabrics looked best to me in this arrangement diagonal wave of color. The yarn dyed Essex in Steel gives good contrast with every print, and lovely texture. Let’s be real here, some things are easier with money! Money quite often equals access, options, and flexibility in our crafty endeavors. 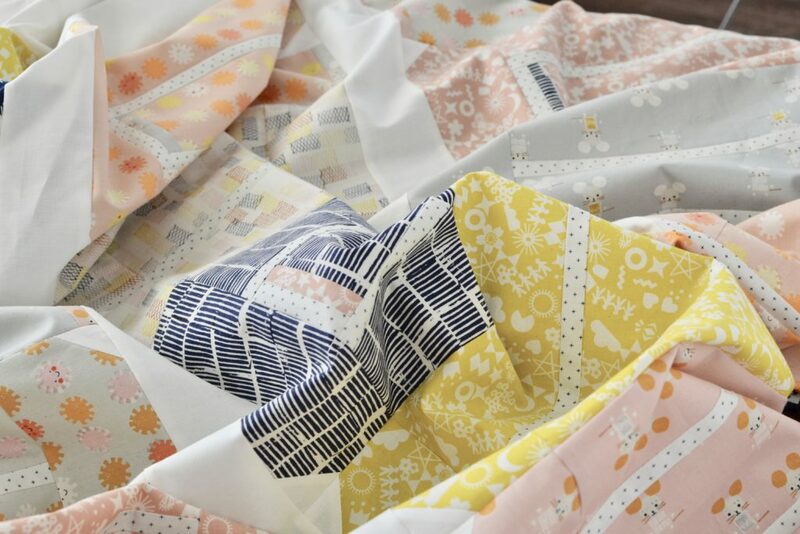 I often find myself drooling over new fabric lines, thinking how wonderful a design idea I have in my head would look worked up in the latest and greatest materials. 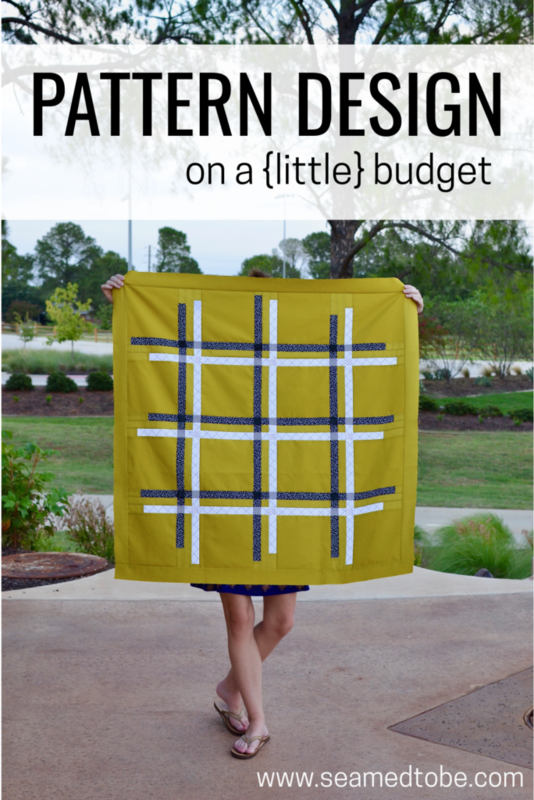 I frown at my simple quilting motifs when I see how custom quilting can truly bring a pattern to life! Sometimes I tell myself that if I had those things my quilts, and my patterns by extension, would be better and more successful. I could make more samples, more sizes, MORE MORE MORE! 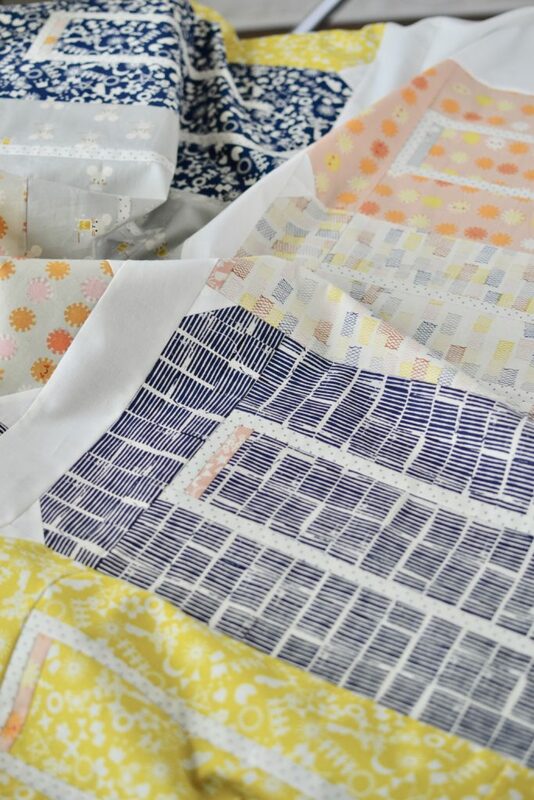 The truth is, regardless of how much better an endless fabric stash would make my cover photo, or how many more quilts I could create by outsourcing everything to a long-armer, that’s just not my situation right now. Most of our family’s spending money beyond bills and food (OH GOD THE FOOD) goes to yoga, ballet, gymnastics, and baseball. 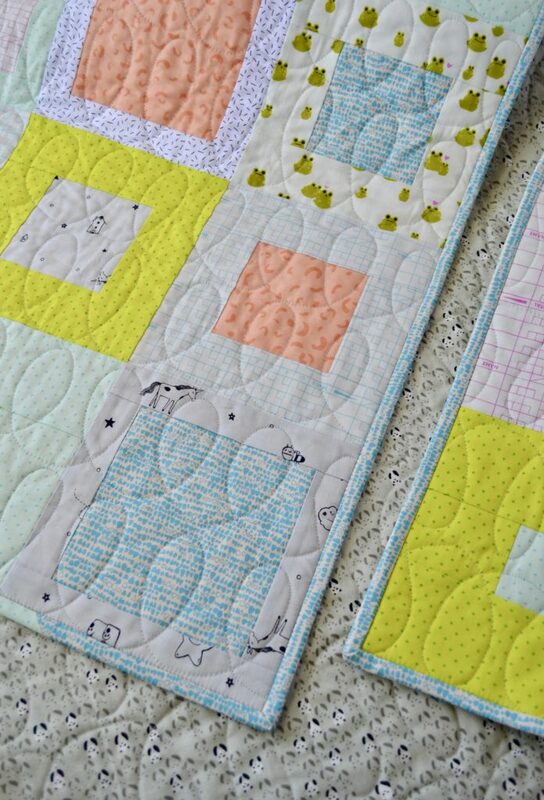 > #momlife < Though I quilt like it’s my job, it’s solidly in hobby territory, folks! SO working within that reality. . .
What’s good about working creatively with limited resources? 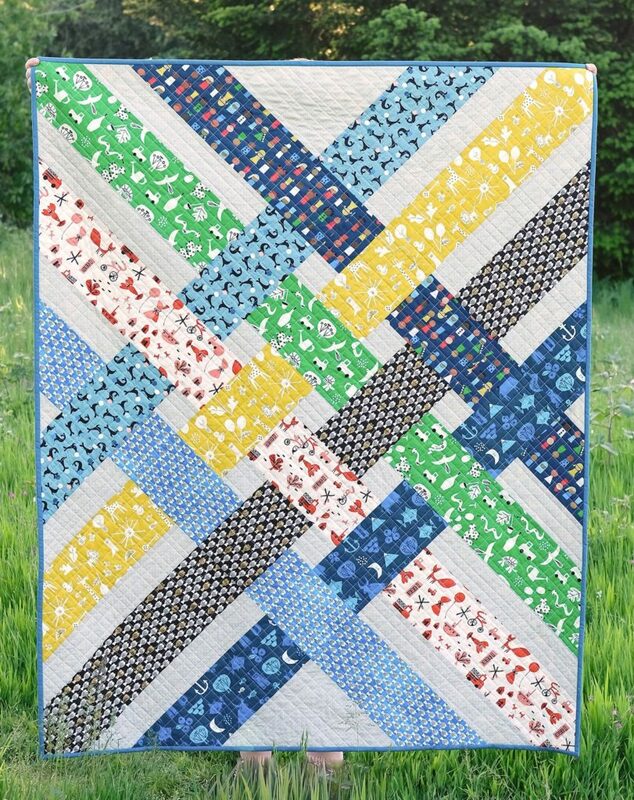 I am happy to share a super fun little @seamedtobe original paper piecing project with you all- the House of Cards Mini Quilt! This post will take you through how to make your very own. 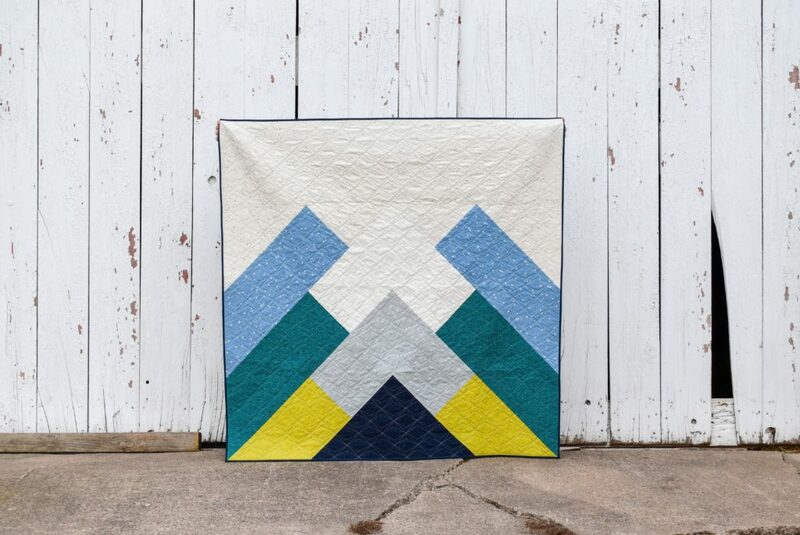 This mini quilt finishes about 19 5/8 wide by 19 1/8″ high making it a GREAT option for a pillow cover as well! 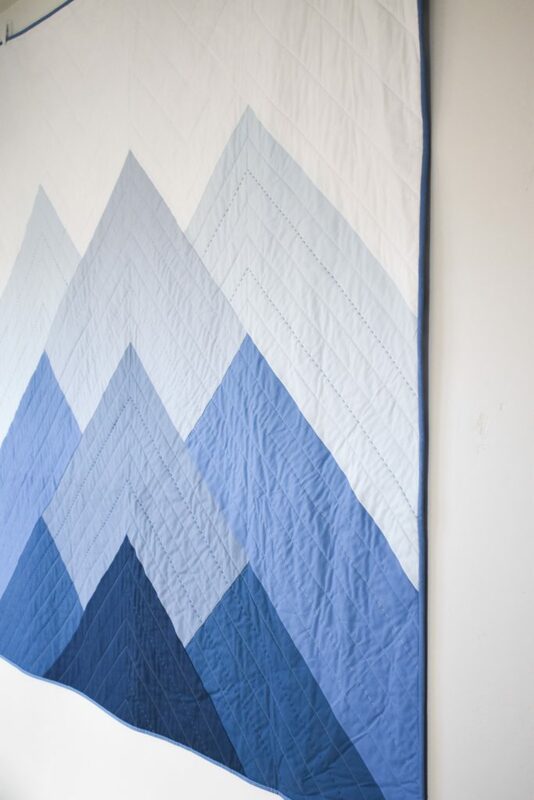 Don’t do paper piecing? Below are the reasons why you should try this!! 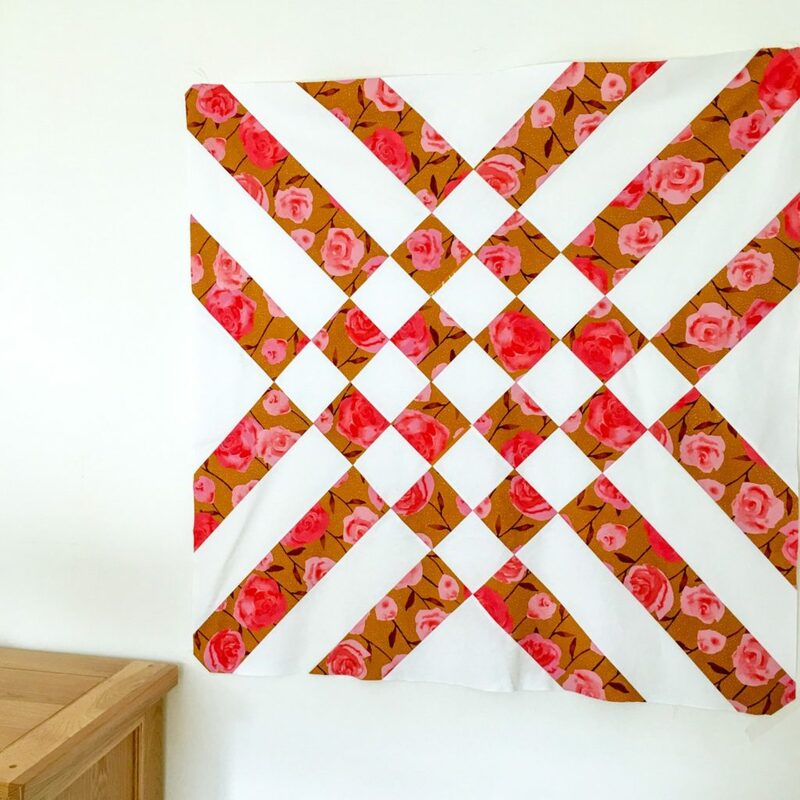 This is a TERRIFIC project for a new paper piecer- with an impressive result! 32 of the pieces, the “cards”, are all the same size and shape so fabric prep is easy. 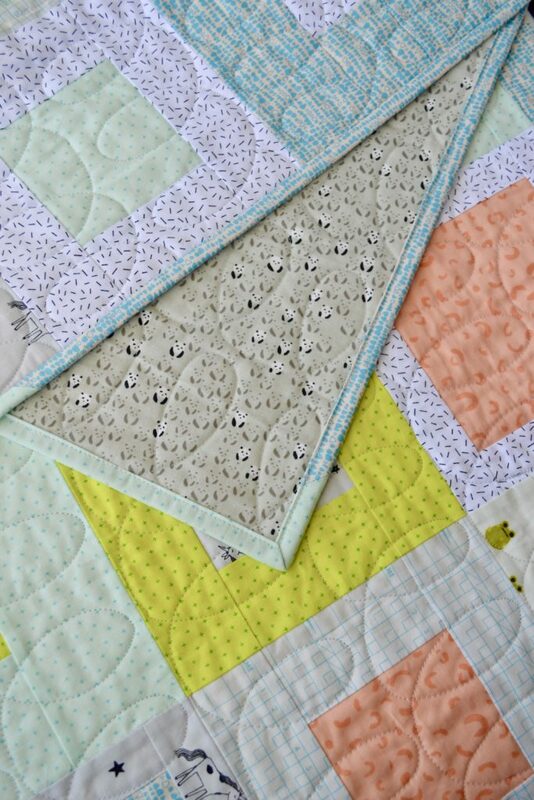 There are no triangles or otherwise funky shapes to make placement for stitching complicated. Construction of the sections is done Left to Right, so you don’t even have to follow numbering. 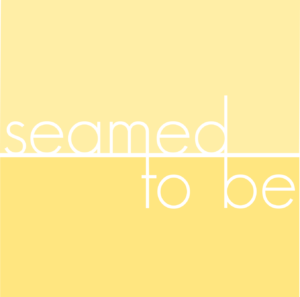 There are NO seams to match between sections! None! Zip! Nada!!! where do I get the papers? 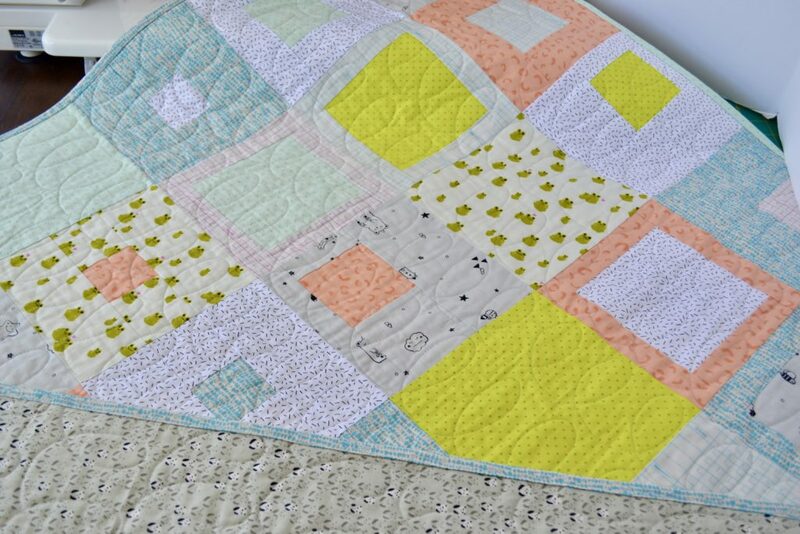 First things first- I’m on Craftsy now! 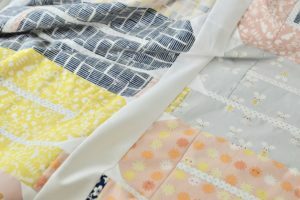 I had been putting it off like so many other things on my summer to do list, but once I finally sat down to do it, it took less than 10 minutes for me to get my Keeper Quilt pattern listing up on and running on that platform. Can we get a big HOORAY for good things that are easy?! You can view it here if you are so inclined. 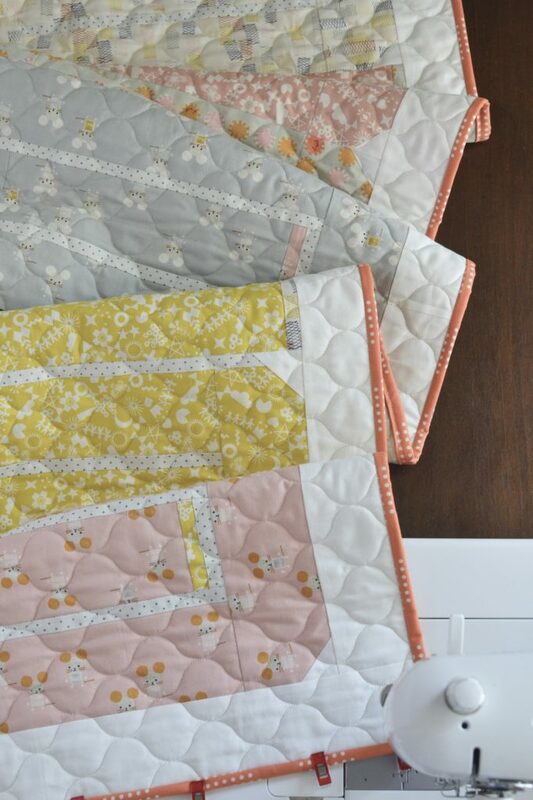 Releasing my Keeper Quilt pattern soon after school released and right before we left on a family vacation made for such a scramble in my brain, I never even blogged about it! 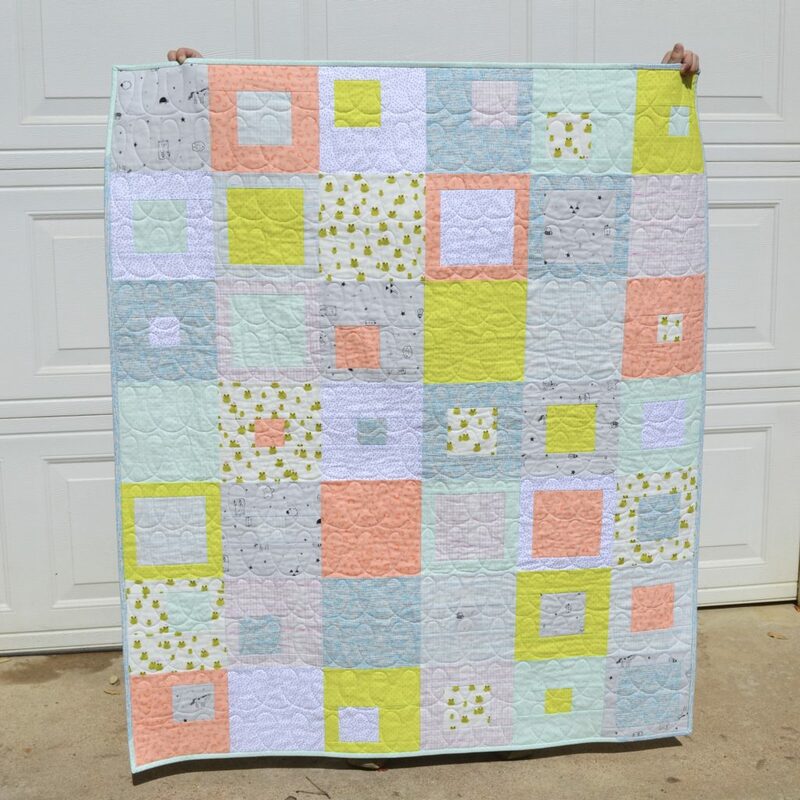 SO here I am blogging about it ;)- this adorable pattern is truly a quilter’s quilt filled with quilts and is for sale in two places- my website’s PATTERNS tab and Craftsy! 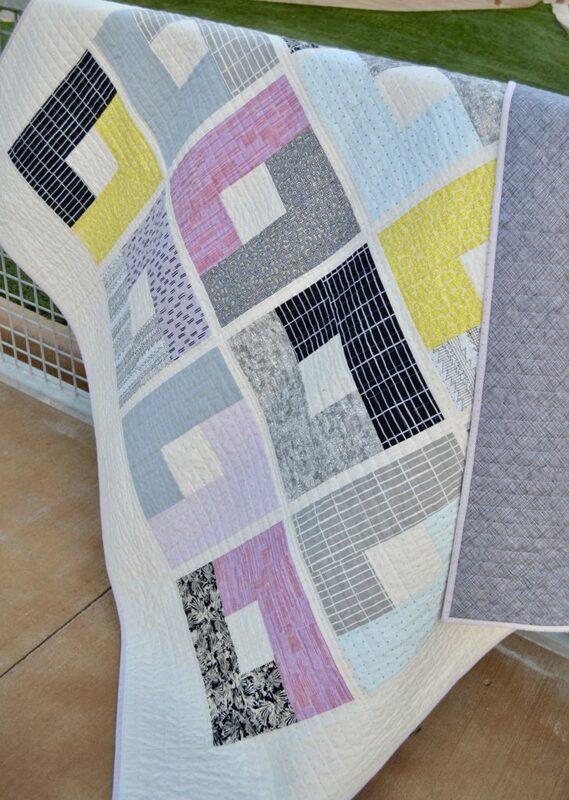 What if I told you there was a quilt that was quiltier than all the others? 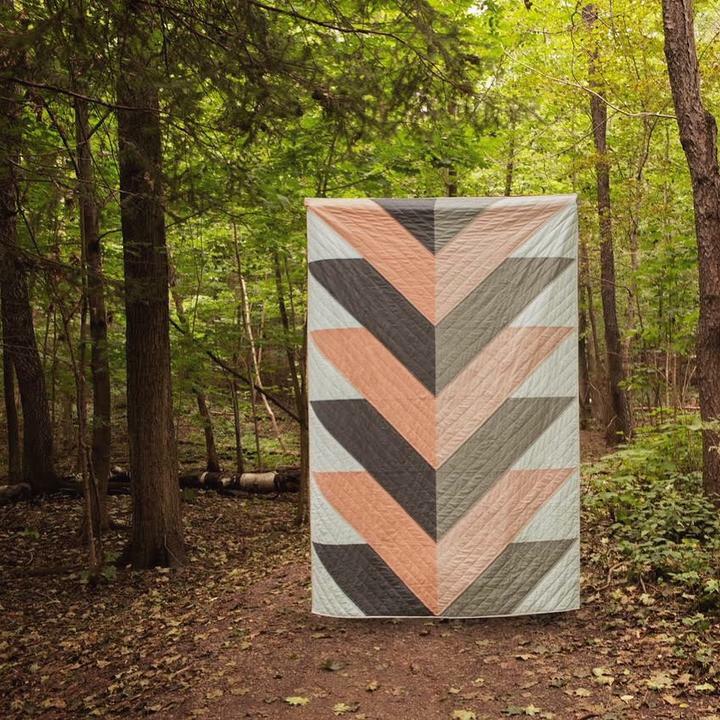 A quilt made of quilts?? IT IS TRUE, FRIENDS. IT IS TRUE! 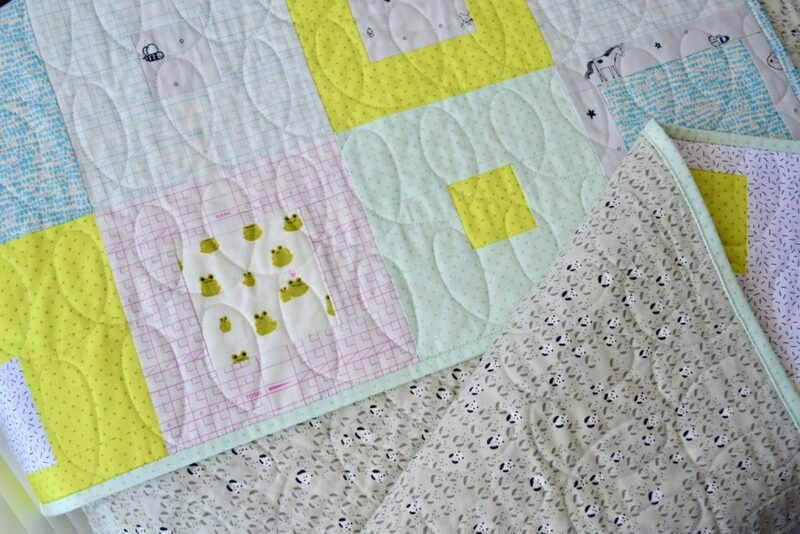 Introducing the Keeper Quilt! I wanted my first design to share with you all to be light hearted and fun. 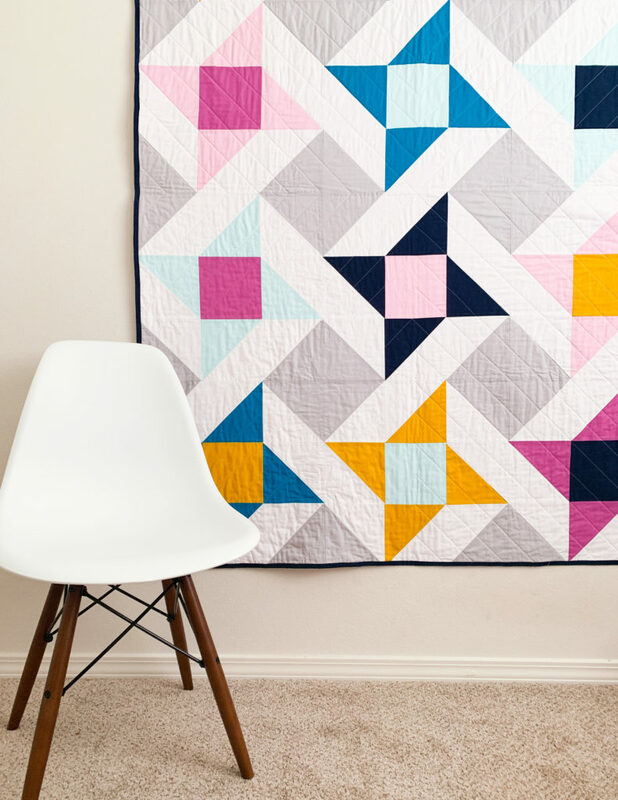 This pattern embraces what we all love —> quilts, duh <— and puts them on display in tall, glorious stacks. Each complete with contrast ‘binding’ and carefully ‘folded’, the individual quilt blocks are about the size of an actual 3D folded quilt which just makes my brain so. . . happy?? Tickled? At peace with the world? Whatever, it just feels right! 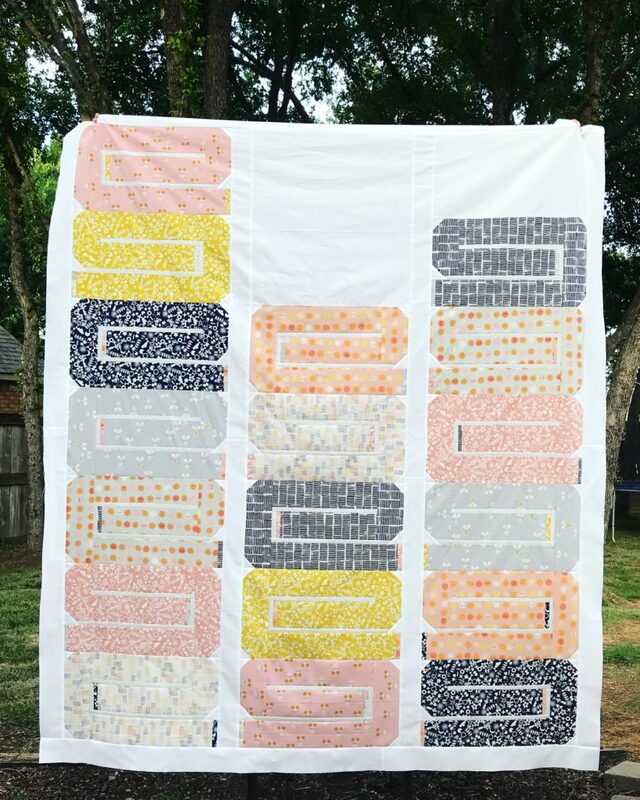 I toyed with naming this pattern the Collector Quilt, but it felt too dismissive of the many hours of work and love we pour into these projects. 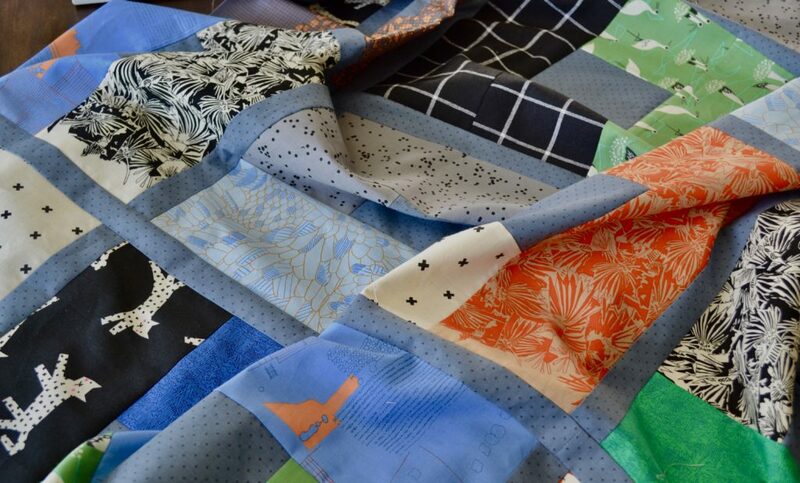 Sure, a stash of quilts is a collection, but individually each was slowly and thoughtfully assembled with a specific vision and destiny (too far? haha) in mind. 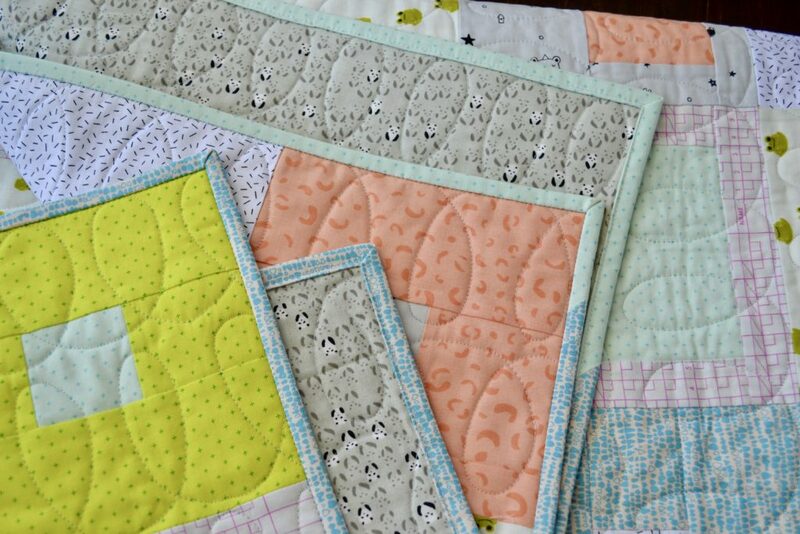 Anyway, these quilts you keep after making are special! They are KEEPERS. 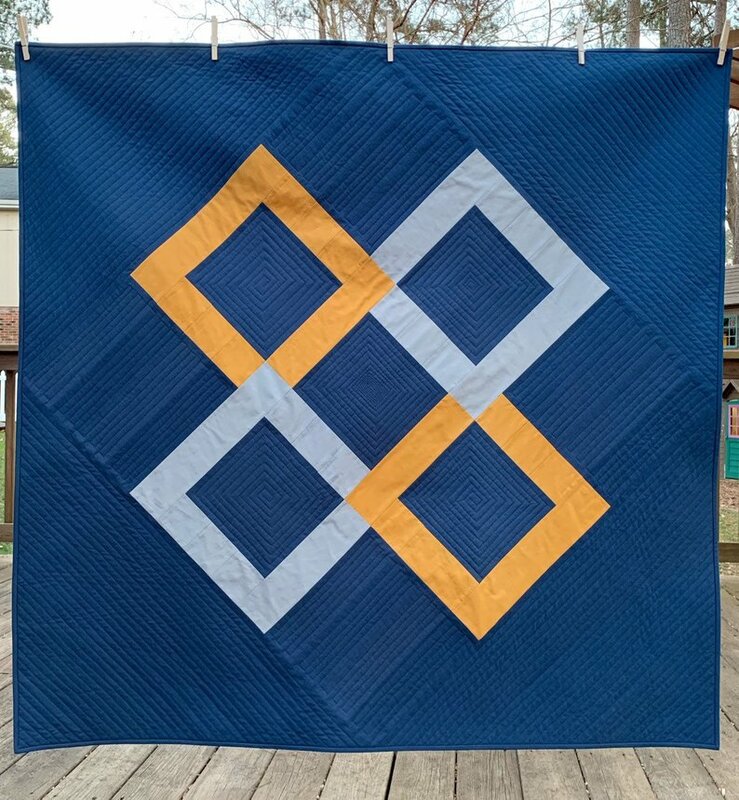 The Keeper Quilt is a warm tribute to the fascinating and often therapeutic process of cutting fabric apart and putting it back together in the shape of a keepsake that has a special place in our heart. 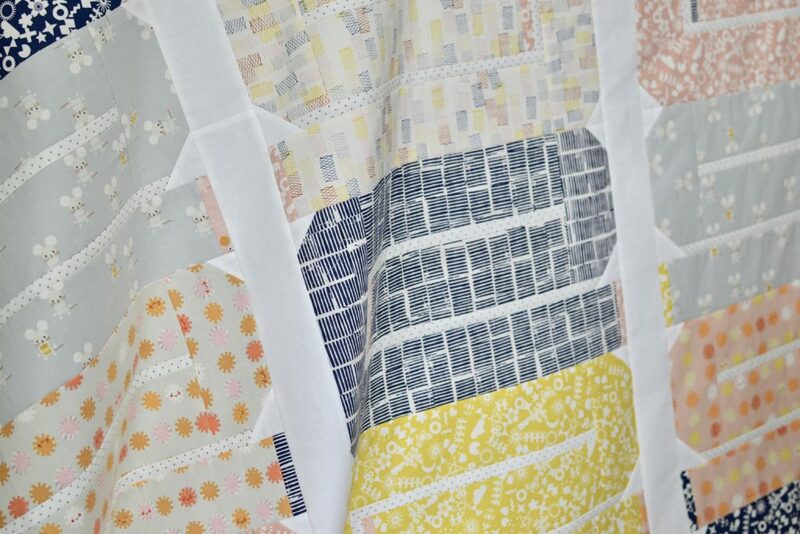 This version features a variety of Cotton + Steelprints from three collections. I fell in love with the two colorways of suns and mice from the Sunshine collection by Alexia Abegg , and added in complementary colors from the Papercuts collection by Rashida Coleman-Hale. The two color “Cut It Out” prints are so simply perfect and versatile and you need them in your stash NOW! As I started cutting, piecing, and pairing prints I realized I needed another navy to balance out the color scheme. Hearth in Indigo was the perfect solution and I quickly grabbed some from Fabric Bubb. Kristina ships SO quickly and has a beautiful selection of modern fabric- go check them out if you haven’t already! Stay tuned here and on my instagram account for pattern release information THIS SUMMER! In the meantime I’ll be here in front of my computer googling things like “how to technology” and “SEND HELP”. Just kidding. But seriously.